Kitchen tools are supposed to make work easier and a lot more efficient, allowing the cook to concentrate their efforts on what they do best. Here is an essential kitchen tools list that is key to excellent food preparation. Whisks are for blending food ingredients smooth or for introducing air into mixtures in what is called whisking. Sometimes the term whipping is used to describe the same process. One of the most common applications for whisks is in the whipping of eggs to make meringue. Whipped cream is also produced with the help of a whisk. The wide teardrop is the most common shape for this essential kitchen item. These are referred to as balloon whisks. Interestingly twigs from willow trees have also been widely used as whisks for centuries. The advantage here is that the wood would usually give the dish being prepared a certain pleasant fragrance. Alternatively peach twigs would be used in cakes to give that flavor to cakes. A set of quality knives in the kitchen is essential. The whole idea is to have knives for different purposes that will enable you to cut quickly without the need to apply extra pressure to do so. The best thing to do here is to have different sizes and different blade types for different applications as you prepare food. 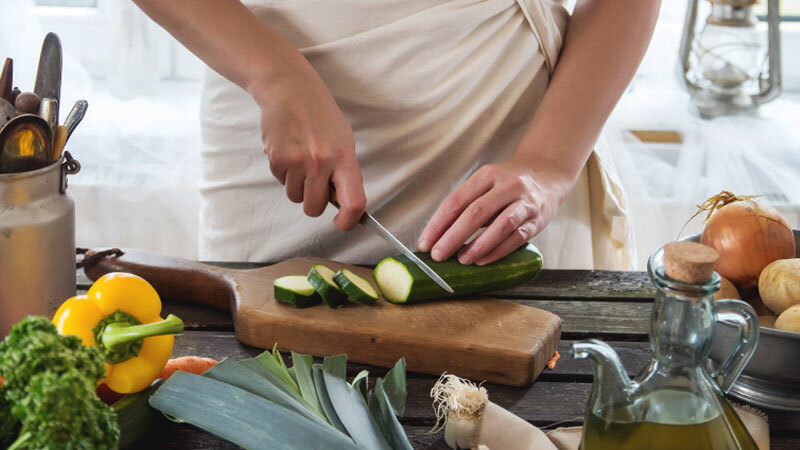 You should have different kitchen knives that are best suited to the different kinds of cutting that happen in a kitchen like chopping, dicing and slicing. This is a vital kitchen tool for cheese lovers to enjoy beautifully sliced pieces ideal for making sandwiches. A good cheese plane blade should be able to handle both thick and thin slices. It is also a good idea to choose one where the surface works in both directions. This a bowl-shaped kitchen tool that has holes in it ideal for draining certain foods like pasta or rice. The idea is to drain the liquids and retain the solids. Other names used for it are a kitchen sieve or pasta strainer. Most colanders are made of aluminium although other materials like plastic, silicone, ceramic, thinly foiled stainless steel and enamelware are also used. Single handed colanders are preferred for ease of use in a busy kitchen. This tool has a kind of piston that forces whatever is being crushed through a grid of small holes. It is used for crushing garlic cloves. 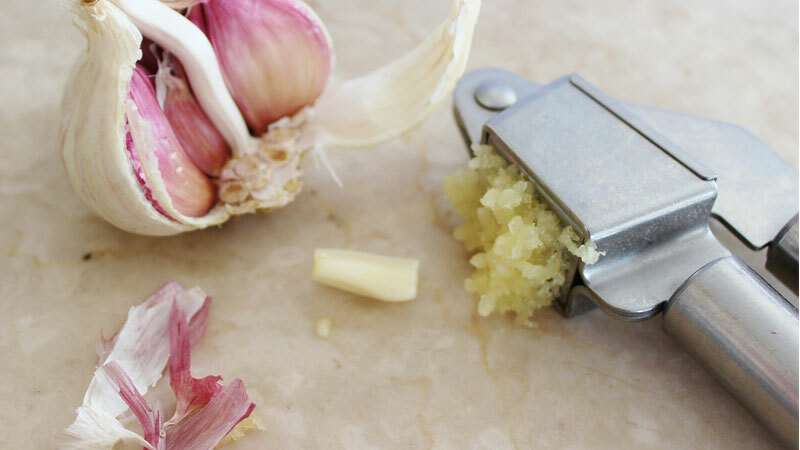 Garlic presses replace the cumbersome chore of having to mince garlic with a knife. Most presses will come with an alternative grid of blunt pins which is used to clean the holes after use. Incidentally garlic presses can also be used to mash other food ingredients like capers, olives, canned chipolatas and anchovies. This is a serving spoon that typically has a long handle with a deep bowl at the end. It is mostly used to serve soups and stews. 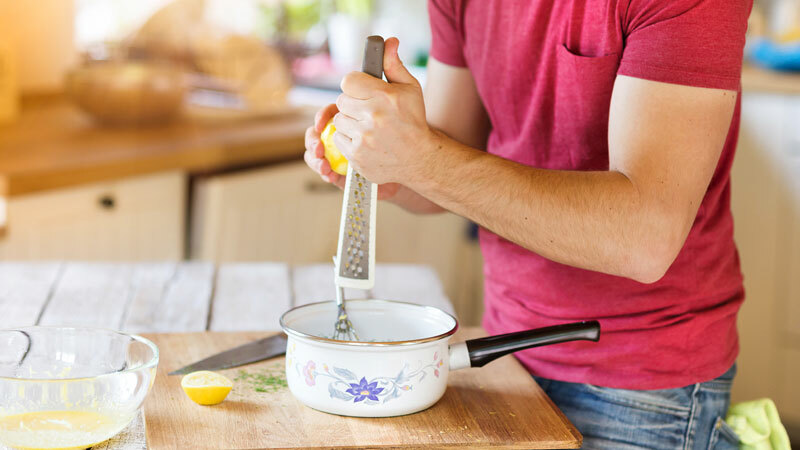 The original ladles were made of wood but these days a wide range of different materials are used for this vital kitchen tool including silver, aluminium, plastics and melamine resin. There are numerous different types of knife sharpeners but they all serve the same purpose of making a knife sharp by grinding it against its’ rough hard surface which is usually a stone or soft surface with hard particles. The word spatula comes from the Latin word for flat piece of wood. This is a tool that has a flat broad blade that is used for spreading, mixing and lifting foods. The handle is supposed to be long enough to keep the holders hand clear of whatever is being flipped or lifted using that spatula. Sometimes the blade is perforated to enable liquids to flow through. Another critical part of your essential kitchen tools list is cooking spoons. You will need spoons for mixing, stirring and a host of other applications in the kitchen. They will also have different shapes and sizes depending on exactly what they are supposed to be used for. Others should be perforated to allow the liquid through when you are stirring solids that have a liquid base. Here is an essential kitchen tools list that is key to excellent food preparation. A food turner is supposed to be an improvement on the spatula allowing the person cooking to prod and flip all kinds of foods during preparation. Longer shapes with edges that are more flattened will enable more delicate flipping. Some are even designed to deliberately leave attractive imprints on some dishes for a more appetizing presentation. With this complete and essential kitchen tools list you can choose to get really ambitious in your kitchen without any worries.